If you are considering selling your house, there is a good chance that you are going through the ‘renovation dilemma’, that is whether you should spend money on the property to up its market price or not. Investing on a property you are putting up for sale can seem to be a waste now, but a smartly renovated home indeed can prove to be a profitable deal in the long run. A well renovated property that has the efficiency and the aesthetic charm, is more likely to stand out from the other similar properties on the market and less likely to be beaten down on price. 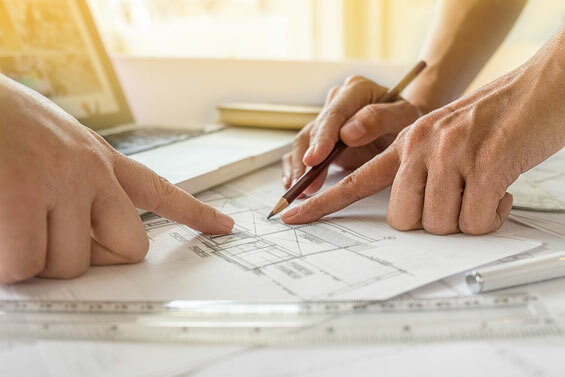 If you have weighed on all the pros and cons of renovation before selling and finally decided to go for it, there are 2 fundamental questions you need to ask yourselves. Basic updates: The first thing you want to do when you are renovating is do the basic updates. Check if the pain is fresh, fix the roof, the electric wiring, replace the floor if it’s rotting, get rid of any mould you can find. Hiring an inspector to check out the areas of your home can be a good idea. Experts can discover the problems that needs to be attended which amateur eyes can miss. Buyers want a healthy, solid, safe home, and they look carefully for signs of routine maintenance. Upgrading the kitchen: According to the experts, kitchen remodelling should be at the top of your list when doing renovation. It is the place where a family spends most of their time together which makes it prone to regular wear and tear. That does not mean you need to go over the top with luxurious upgrades. Give attention to the basics and to increasing the efficiency. Installing countertops or a spacious cupboard go a long way. You can also add shiny little details like putting new knobs on cabinets or purchasing a new faucet for the sink. Upgrading the Bathroom: Another thing that should pop up on your priority list is the remodelling of your bathroom. A toilet that looks old and worn out can lower the price of your house. Aside from a well-functioning bathroom, proper lighting can be a great value booster, try adding a window in the bathroom to fill it with natural light. Reinventing rooms: See your rooms in new light, reinvent the existing space with clever modifications. Finishing a basement, or converting the attic to a bedroom can do the trick. Look if there is any walls or rafters which, if torn down, can illuminate the space. Deck/patio addition: Adding a deck can boost up the value of your home instantly. Try to focus on improving the overall visual appeal of your outdoor space. First impression DO count. Steer clear of the idea of installing over the top additions like fountains or spa pools. If you want to accessorise your outdoor, you can consider the idea of adding a pergola over your deck. Nothing too lavish, but a simple one. This will not cost you much but will increase the charm of your home. Considering every aspect of your home renovation before putting it up for sale is important. You can have a chat with experts from MTB Carpentry and Construction for suggestions and they will help you make your mind.